Thank you in advance for your interest! There are many different volunteer opportunities on Disability & Aging Capitol Action Day. People with disabilities are encouraged to volunteer at the event. Please complete the volunteer application form and let us know which tasks you would be able to perform during the event. Our volunteers are a happy bunch! What accommodations will you need to volunteer? Have you registered to attend the event as an individual or with a group? 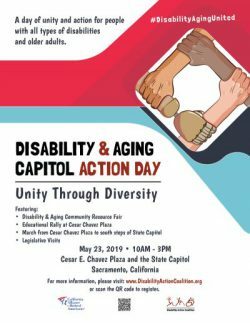 How did you hear about Disability & Aging Capitol Action Day?